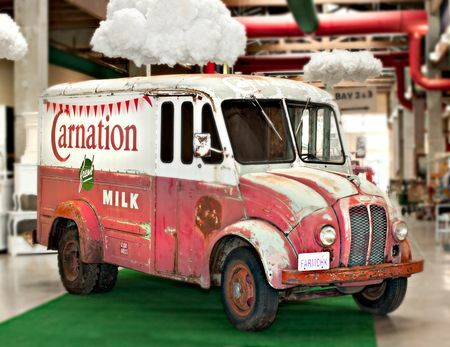 A few years ago, I had great fun creating some great big clouds to be used at the entrance to The Farm Chicks Show. But before we got them to the show, we had fun with them at home. The boys thought they made cool photo ops. 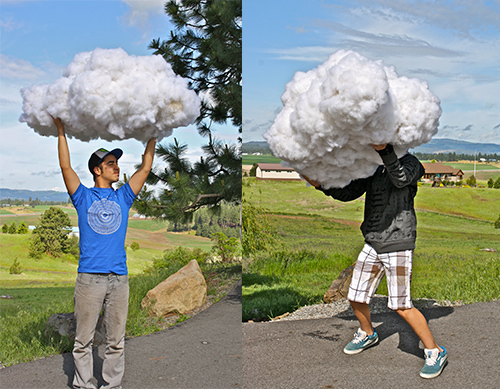 But how do you make a cloud? It’s actually pretty easy, as long as you have some time and a bit of patience. To start, cover your work surface with a big sheet. 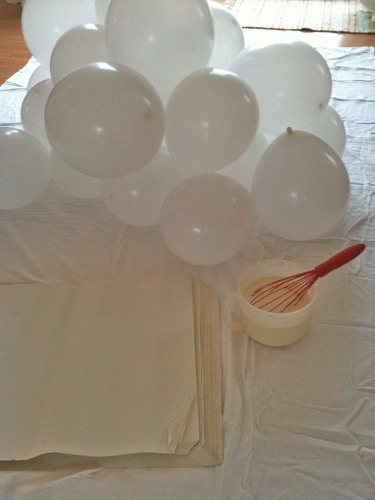 Tape as many blown-up white balloons together as you like, to form your perfect cloud. Next, mix up a big batch paste of water and flour and whisk until smooth. Gather up lots of newspaper or newsprint paper and tear into thick shreds (3″-6″). Dip shreds into the paste, removing excess paste as you lift from bowl, and smooth all over the balloons, until they are fully covered. Allow to dry completely. (This can take up to 24 hours). 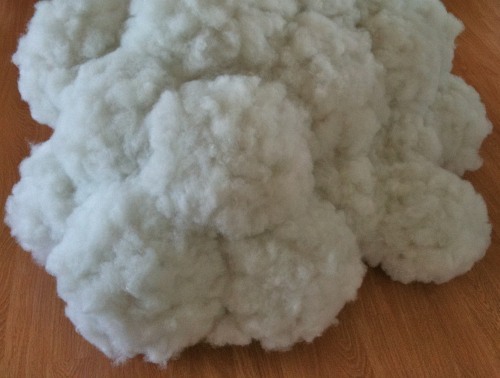 Next, cover the clouds with pillow stuffing (polyester fiber). 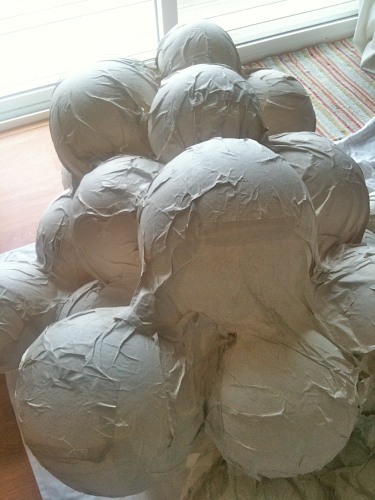 To do so, use a spray adhesive, and spray little sections at a time, and adhere little bunch by bunch of the stuffing. Repeat, again and again, until the cloud is all covered. And just like that, a cloud is born. Serena Thompson is the founder of The Farm Chicks Show – an awesome life style magazine. She also authored The Farm Chicks in the Kitchen and The Farm Chicks Christmas. You can follow her on her blog, Twitter and Facebook. This post was originally published here. What happens when the balloons deflate??? This LOOKS easier than actually is. 🙂 Baloons keep popping before I even put paste and paper on them. Not sure if that’s the glue I’m using to keep them together or something else… What glue did you use to stick baloons together? The instructions say to tape the balloons together, rather than glue.